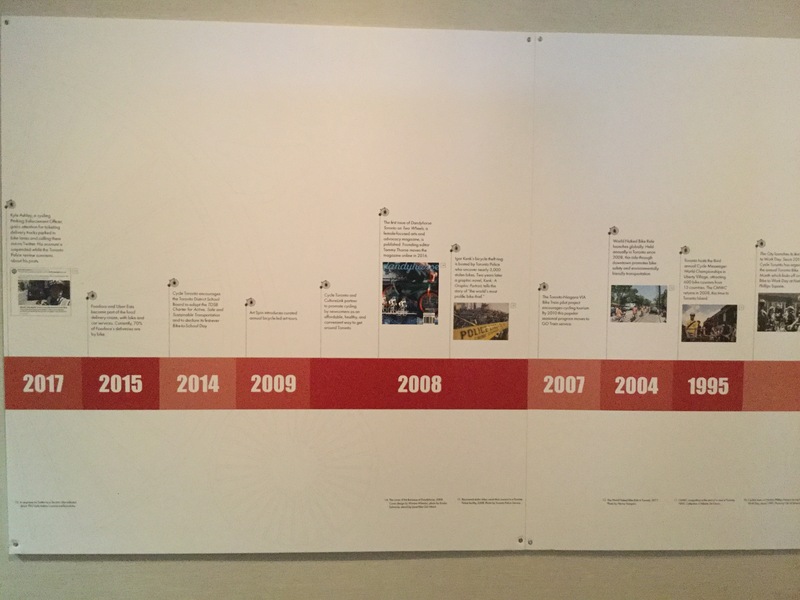 Images courtesy of the City of Toronto. Today, the bicycle is a mainstream mode of transportation for a million riders in Toronto, yet sharing the road has been a challenge for city builders and city users for well over a century. Showcasing 13 bicycles, archival photographs, early advertisements and artifacts from private and public collections, the new exhibit, Bike City, tells the story of the bicycle and its impact on Toronto, past, present and future. 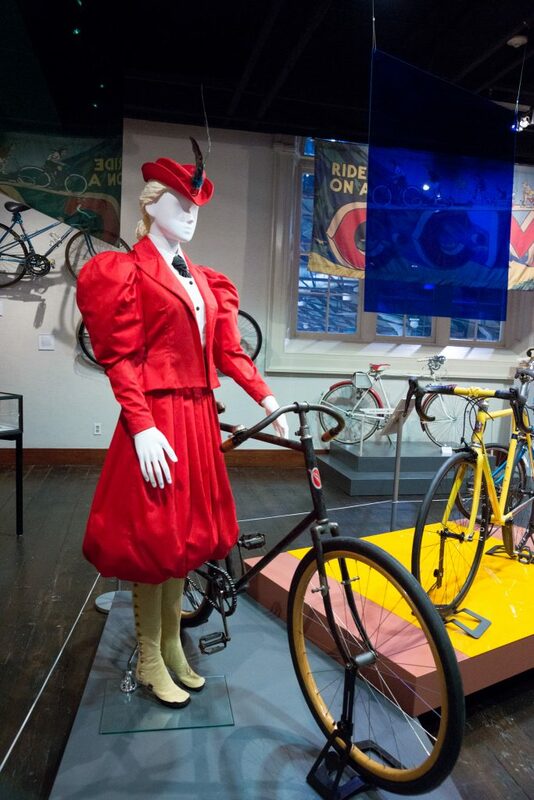 The exhibit is on display until November 17, 2018, at the Market Gallery on the second floor of the St. Lawrence Market at 95 Front St. E and features cycling clothing, including this reproduction of a women's cycling garment from the late 1800s seen below, along with some really cool bikes. 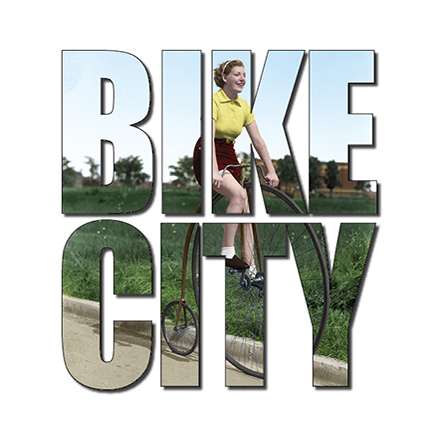 Admission to Bike City is $8 for adults, $7 for seniors and $5 for children. 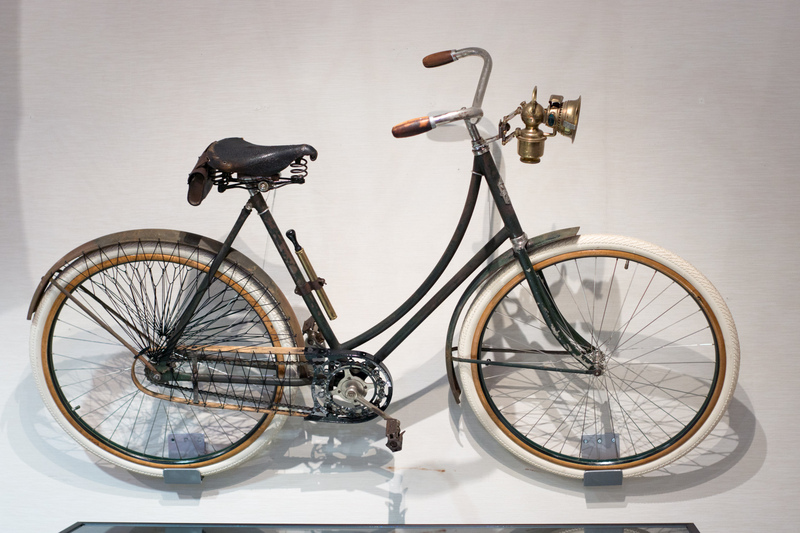 This CCM Cleveland Ladies Roadster was made in 1918 at the CCM Factory in Weston, Ontario. 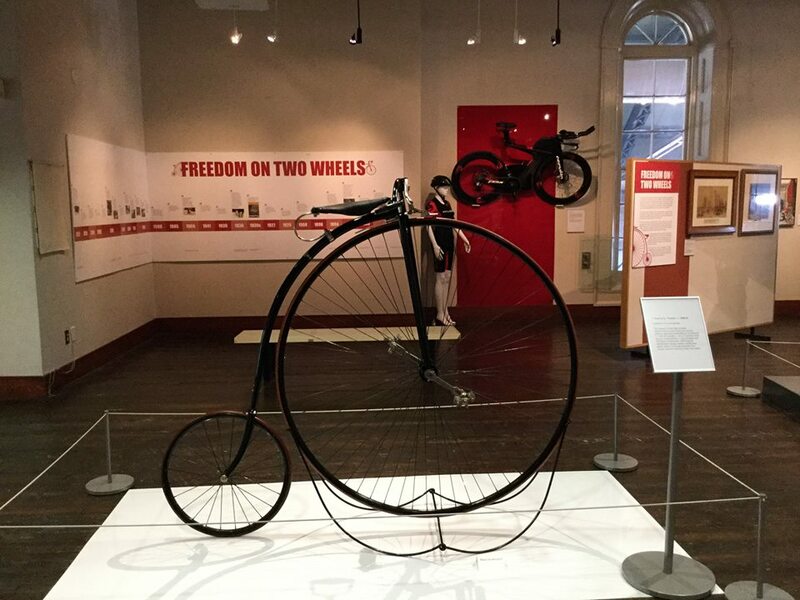 This fabulous high wheel - or penny farthing - bicycle is called "The Comet" and was made by T. Fane & Co.
And the Bike City exhibit even includes dandyhorse magazine! 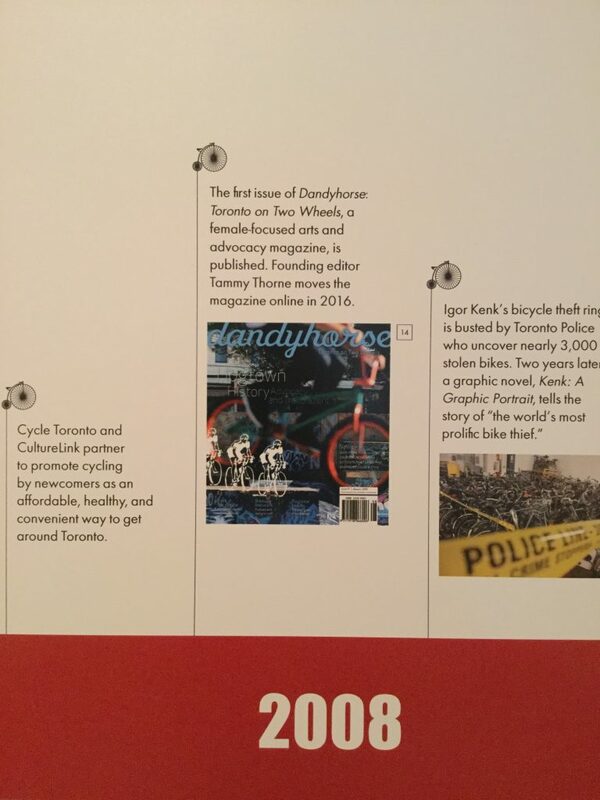 An image of the cover of issue one - which has art by Janet "Bike Girl" Attard, photo by Bouke Salverda, and design by Warren Wheeler - was featured on the cycling history timeline. How awesome is that? !